Open source is a kind of design where you can immediately access any kind of information from a set group with less hassle. This method has been closely studied by various companies to see whether this method can be used for their business. It has also reached technology in the form of open source database. The term itself, open source, has been gaining popularity with the development of technology, such as computers and Internet, which allows large numbers of users to tap into their sources with more convenience. Though this kind of strategy hasn’t been popular a few years back, today, it is gaining more audience, especially since there is a rise of businesses not only in the Internet but land-based as well. Open source database is now being used by most companies since it gives them not only faster performance and more reliability but ease of maintenance as well. Open source software is available over the Internet, so it is easily accessible to more people, giving them access on how the software was programmed and allowing them to add their own codes or use it to fit their needs. By making it accessible, the software can easily be upgraded. This is quite beneficial for most since anyone can share their knowledge about the software, and any problems that may arise from it can easily be answered. Plus, more people can share tips on how to fix software bugs or enhance different programs. One of the advantages of using open source database in companies or enterprises is the ability to departmentalize the information or data. But even though open source database has been a great help to most, there are still limitations to its capabilities, one of which is the difficulty in finding an expert who can handle this type of database. It may also be more expensive than other kinds of database systems available in the market when implemented. Since the conception of open source databases, there are numerous softwares that are now out in the market. Among the most popular are MySQL and PostgreSQl. MySQL is commonly used for websites since it is easier to use and to manipulate as well as faster than PostgreSQL. Since websites require people to log in or create an account, MySQL is the best software to store information with; plus, there are numerous users who can help you when you set up your own website. PostgreSQL, on the other hand, is considered to be more advanced than MySQL since it can handle numerous transactions all at the same time. It is also far more compliant than MySQL. 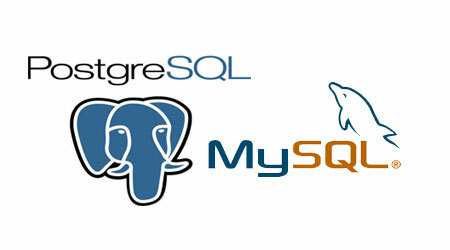 Though both MySQL and PostgreSQL have differences, both are tough, stable and available for free over the Internet. They are also easy to manipulate and are perfect for setting up either websites or commercial transactions. The security implemented for database is also included, so you are assured that all information gathered is kept strictly in confidence. Both MySQL and PostgreSQL are the top choice of those who are creating as well as implementing database that can be accessed on numerous platforms over the Internet.